A Master Baker from Basel, that learned his skills abroad and discovered "Crispbread" that made him famous. Zwieback (roasted twice) became the foundation of todays company when in 1877 the master baker cut the unsold bread in slices and roasted them over night in the oven. 1907 the first company producing mustard on an industrial scale in Switzerland. Its mustard was first sold in large stoneware pots. Bio-Strath AG was founded in 1961 by Fred Pestalozzi. Yeast food supplement. Product based on yeast extract similar to Marmite and Vegemite, rich in vitamin B1. 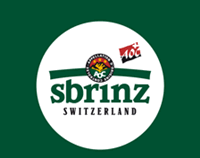 Founded by Swiss brewers. 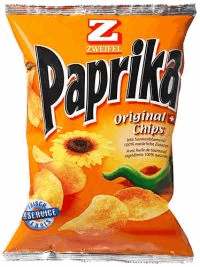 Family owned business producing Switzerlands favorite potato chips since 50 years. Also known as the Swiss cheese, mild in taste. During production it releases carbon dioxide gas, which slowly forms the bubbles that make holes. Since 1936 a soft cheese spread often eaten at breakfast. Part of Emmi Switzerland's biggest milk processor and dairy products company. Schabziger, Switzerland’s oldest brand-product is a delicious and zesty herb cheese for grating, spreading, seasoning and dipping. Since 100 years the company produces cheeses with the aim of long storage life. That way the cheese could be exported to many Swiss workers living abroad that felt like eating some Swiss cheese. Noble salmon smoked the traditional method as practiced at the court of the Russian tsars. Royal families purchase the “King of Fish” from the house Balik in Toggenburg. Extra hard full fat cheese often used instead of Parmesan cheese in Swiss cuisine. Its name means Monk's Head, is derived from its invention and initial production by the monks of the abbey of Bellelay. Often served warmed in its original packaging and eaten like a fondue. For children it is often eaten with chocolate spread. Bread spread Invented during the second world war when food was limited made of yeast and vegetable fats. Meantime based on liver and spieces. 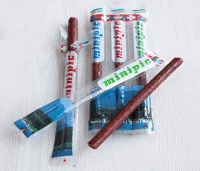 The most well-known and popular meat snack in Switzerland using beef hindquarters, pork, bacon and spices. 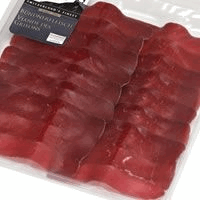 (Originally Bindenfleisch) is an air-dried meat that is produced in the canton of Graubünden. The main ingredient is beef, taken from the animal’s upper thigh or shoulder, the fat and the sinews being removed. Before drying, the meat is treated with white wine and seasonings such as salt, onion and assorted herbs.The initial drying process, lasting 3 – 5 weeks, takes place in sealed containers stored at a temperature close to freezing point. The meat is regularly rearranged during this stage, in order to ensure that the salt and seasonings will be evenly distributed and absorbed. During a second drying phase the meat is then hung in free flowing air at a temperature of between 9 and 14 °C. It is also periodically pressed in order to separate out residual moisture: from this pressing Bündnerfleisch acquires its characteristic rectangular shape.The extent of water loss during the salting and drying processes, whereby the product loses approximately half of its initial weight, is sufficient to confer excellent keeping qualities and a high nutritional value, without the need for any additional preservatives. 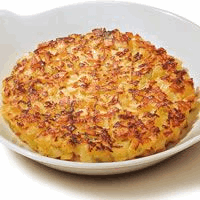 Rösti is made from grated potatoes, raw or cooked, which are then shaped into rounds or patties, often simply shaped inside of the frying pan. Although basic Rösti consists of nothing but potato, a number of additional ingredients are sometimes added, such as bacon, onion, cheese, apple or fresh herbs. This is often considered to be a regional touch.Rösti was originally a common breakfast eaten by farmers in the canton of Bern. Today, rather than considering it a complete breakfast, it is more commonly served to accompany other dishes. 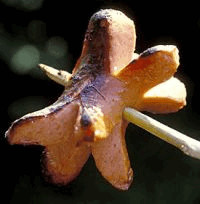 It is eaten all over Switzerland and also served in many restaurants as a national dish. Something you will find on almost every breakfast table in Switzerland. Muesli was introduced around 1900 by the Swiss physician Maximilian Bircher-Benner patients in his hospital, where a diet rich in fresh fruit and vegetables was an essential part of therapy.It was inspired by a similar "strange dish" that he and his wife had been served on a hike in the Swiss Alps. 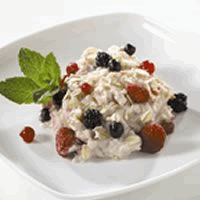 Bircher-Benner himself referred to the dish simply as "d'Spys" Swiss German for "the dish").Muesli in its modern form became popular in western countries starting in the 1960s as part of increased interest in healthy food and vegetarian diets. Traditional muesli was eaten with orange juice and not milk. Carrot cake is something typical of canton Aargau.Carrot cake closely resembles a quick bread in method of preparation (all the wet ingredients, such as the eggs and sugar, are mixed, all the dry ingredients are mixed, and the wet are then added to the dry) and final consistency (which is usually denser than a traditional cake and has a coarser crumb).The carrot softens in the cooking process, and the cake usually has a soft, dense texture. 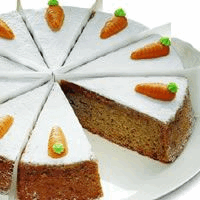 The carrots themselves enhance the flavor, texture, and appearance of the cake. This is a type of dessert made from whipped egg whites and sugar, which are whisked together until they form stiff peaks. Then they are baked at a very low heat for a long time. Good meringes are light, airy and crispy sweet confections. Irresistible with whipped cream, vermicelles and/or ice cream. 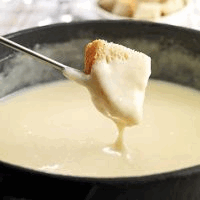 Fondue is certainly one of the most famous Swiss dishes . It consists of melted cheese served in a communal pot (caquelon) over a spirit lamp (rechaud), and eaten by dipping long-stemmed forks with bread into the cheese. It was promoted as a Swiss national dish by the Swiss Cheese Union in the 1930s and thus became so popular that it even found it's way into one of Asterix' adventures.Since the 1950s, the name "fondue" has been generalized to other dishes in which a food is dipped into a communal pot of hot liquid: chocolate fondue, in which pieces of fruit are dipped into a melted chocolate mixture, and fondue bourguignonne / chinoise, in which pieces of meat are cooked in hot oil.The first known recipe for the modern cheese fondue under that name was published in 1875, and was already presented as a Swiss national dish. Despite its modern associations with rustic mountain life, it was a town-dweller's dish from the lowlands of western, French-speaking, Switzerland: rich cheese like Gruyère was a valuable export item, which peasants could not afford to eat. Raclette is also a dish indigenous to parts of Switzerland. 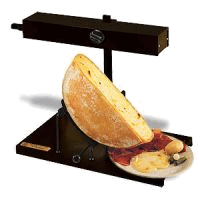 The Raclette cheese a semi-firm, cow's milk cheese - usually fashioned into a wheel of about 6 kg (13 lb). The round is heated, either in front of a fire or by a special machine, then scraped onto diners' plates, usually its accompanied by small firm potatoes, gherkins, pickled onions etc.“Raclette” comes from the French racler, “to scrape,” a reference to the fact that the melted cheese must be scraped from the unmelted part of the cheese onto the plate. Traditionally the melting happens or happened in front of an open fire with the big piece of cheese facing the heat. One then regularly scrapes off the melting side. Zopf or Züpfe is a type of Swiss bread made from white flour , milk, eggs, butter and yeast The dough is brushed with egg yolk before baking, lending it its golden crust. 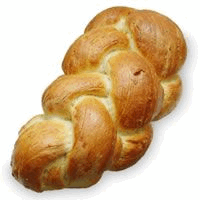 It is baked in the form of a plait and traditionally eaten on Sunday mornings. Definitely the Swiss national sausage.Some 160 million cervelats weighing 27,000 metric tons are produced in Switzerland annually, which is equivalent to a consumption of 25 cervelats per person each year. Grilling cervelats over a bonfire with the ends cut open so they expand like a butterfly's wings is a childhood memory for nearly every Swiss person. As a result, many Swiss are emotionally attached to the sausage.Swiss cervelats are made of roughly equal parts of beef, pork and bacon, along with spices and salt. The ingredients are finely minced in a cutter, packed into beef intestines, smoked for an hour and then cooked by boiling for a short time. Cervelats are prepared and eaten cooked, boiled, grilled or fried. They are also served cold, either in a salad or with bread and mustard. This is a Southern Swiss specialty made from chestnuts and Kirsch. The chestnut chunks are pressed through a perforated sheet to create chestnut 'worms' (latin: vermiculi = worms). 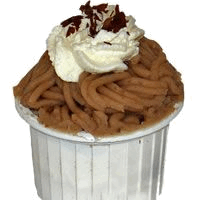 Vermicelles goes well with whipped cream and/or meringue and/or vanilla ice cream. It is a typical Swiss desert which, however, you will only find in fall, obviously.